The Kosciusko Attala Partnership is searching for a Kosciusko Main Street Director to fill a full time position. Please read the description below and send your Cover Letter and Resume by email or mail. The Kosciusko Main Street Director will supervise, direct and administer the day to day business and management of Kosciusko Main Street, while working under the umbrella of the Kosciusko Attala Partnership Chamber of Commerce (KADC). The Director acts as the Managing Officer of Kosciusko Main Street, subject to the direction of the Kosciusko Attala Partnership Board of Directors and Executive Director. The Kosciusko Main Street Director will promote, plan and manage downtown activities and special events, educate businesses, serve as a listener, collaborator, clearinghouse, visionary, facilitator and coordinator based on the Main Street four points (organization, promotion, design, and economic restructuring) of the Kosciusko Main Street program. The Director will serve as the advocate and representative for all downtown issues and activities. Will be responsible for helping develop activities and projects across the City of Kosciusko and Attala County to generate growth into downtown as it relates to our community message, mission and goals. 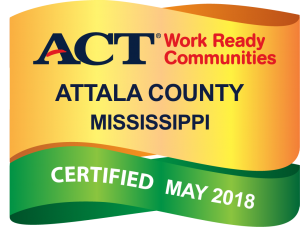 This includes the implementation of policies and procedures, program development, financial management, marketing, downtown business/property owner and community relations throughout the City of Kosciusko and Attala County. Coordinate the activities of the Kosciusko Main Street Program and volunteer committees. Represent the community locally, regionally, and nationally. Statewide manager trainings will be provided by the Mississippi Street Association and attendance is required. Some travel and overnight stay will be required. Weekend and evening hours will also be required at certain times throughout the year. Manage all administrative aspects including: developing and maintaining an appropriate data system for record keeping, developing and monitoring budgets, accounting, purchasing, preparing reports, documenting all physical changes, retaining information on job creation and business retention, and all other office activities. Supervise support staff and volunteers. Develop strategies for downtown economic development and historic preservation. With various committees, the Executive Director and the Board of Directors, create an annual action plan focused on these four areas: design, promotion, organization and economic restructuring. Develop and conduct public awareness and education programs through speaking engagements, media interviews and appearances, keeps the program highly visible and in a positive light. Must maintain positive relationships with all media outlets and be easily accessible to the media. Provide advice and guidance to individual tenants or property owners regarding physical improvements, vacancies and other issues. Provide advice and information and encourage joint involvement in the downtown community through promotional events, advertising, special events, business recruitment, etc. Help build strong, productive working relationships with appropriate public agencies at the local and state levels. Advise and assist in efforts to attract people to downtown. Coordinate and recruit an active volunteer force. Participate in appropriate community organizations. Helps maintain website and social media content. Provides event notifications to all tourism entities across Mississippi and appropriate areas for maximum exposure. Able to work all Downtown special events and other events as assigned; must have a flexible schedule and willing to work long hours when necessary. Must be accessible outside of normal office working hours. Continue to produce and manage numerous special events throughout the year. Candidate will be responsible for additional duties scheduled or provided by the Kosciusko Attala Partnership Executive Director that may or may not be directly related to Kosciusko Main Street. These may include business learning events, conferences, retail meetings, fund raising, planning, etc. A self-starter with a strong independent work ethic. Marketing, public relations, graphic design and advertising skills desired. Ability to read, analyze, and interpret common professional journals, financial reports and legal documents. Ability to respond to inquiries or complaints from citizens, regulatory agencies, city and county officials, and members of the business community. Candidate must have a thorough knowledge of principles and procedures of federal and state grant administration and management and of grant sources and related requirements. Candidate must be able to speak in front of individuals, large audiences and be able to articulate a message to different age groups. Candidate must possess strong writing skills, as it relates to grants, monthly reports, press releases, web, social media, letters, etc. Candidate must possess strong organizational skills and be able to function effectively in an independent environment. Must possess effective interpersonal skills, including conflict resolution skills. Ability to work with a wide variety of internal and external customers, citizens and officials. Display a high degree of sound business judgment and ethical conduct. Ability to maintain harmonious and effective working relationships with other employees, peers, and other departments. Graphic Design, Audio and Video production skills using software such as Adobe Illustrator, Final Cut Pro, Corel Draw, Photoshop, In-Design, etc. are a plus. Strong computer experience is a must using Microsoft’s suite of products including Word, Excel, Power-point and Publisher. The ideal candidate will have extensive experience with website and social media management. Candidate will be responsible for social media platform planning, website maintenance as it relates to Main Street projects, events and news or assigned by the Kosciusko Attala Partnership Executive Director. Graduate from an accredited (4) four year college or university with a BS or BA degree preferred. Preference is for the degree to be in the area of business, public relations, planning, marketing or related field. Three (3) to four (4) years’ experience in one or more of the following areas: community development, public relations, business economics, event planning, public administration, fundraising, marketing, community organizing, architecture, historic preservation, finance, graphic design, fundraising, journalism, business administration, retailing, volunteers or non-profit administration and/or small business development. Must possess valid Mississippi driver’s license. the essential functions. Working conditions are both indoors and outdoors with both evening and weekend work required on occasion.